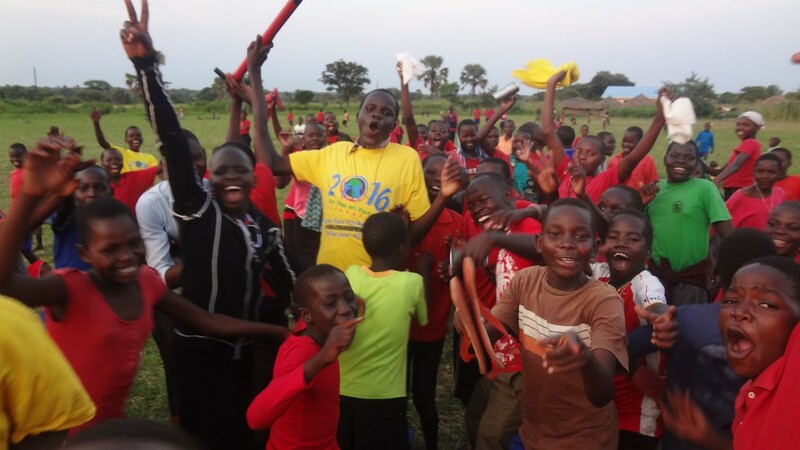 Football and Volleyball are the current most popular sports at our school, yet recently on our Sports Day, we had a range of games to give each one a chance to excel and to enjoy life together. 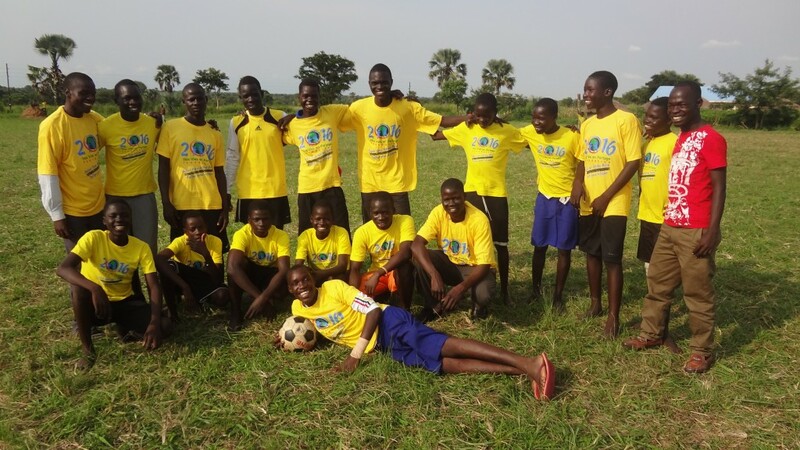 Our football team with Teacher Opiyo. 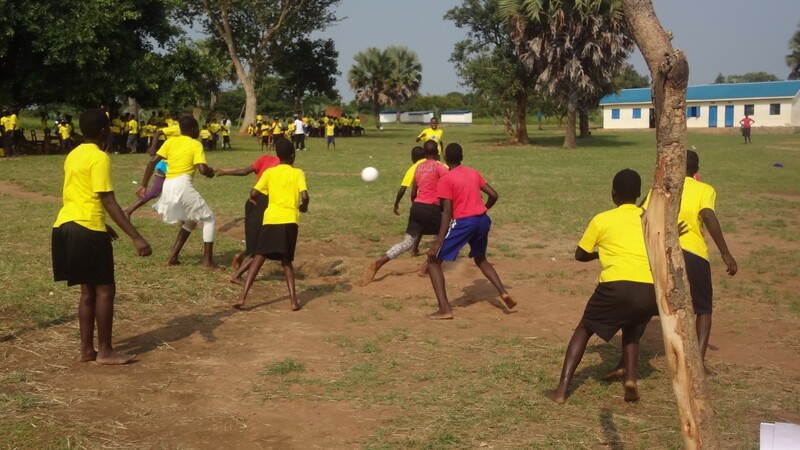 We walk to schools within a few kilometers from us and so far, we are almost unbeaten! It’s a great encouragement to young people who have had difficult backgrounds to have experiences together like this. Cheers from our school members as our footballers win the game! 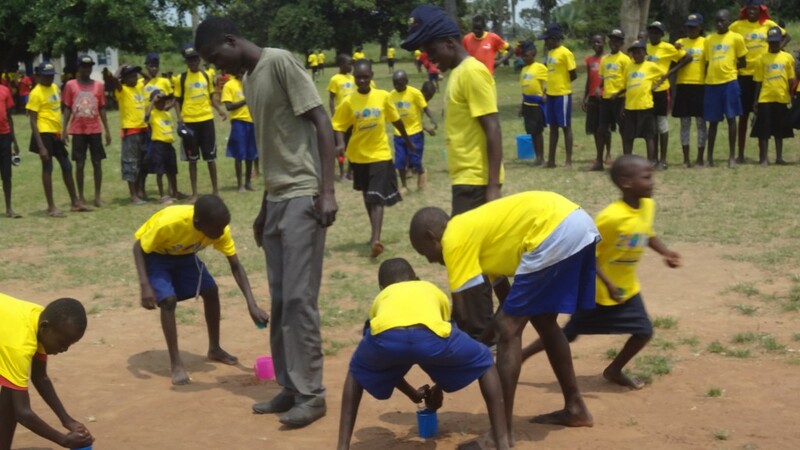 Immediately above, on Sports Day, the young ones are given a chance to test their coordination with a special relay. We have some skilled girl football players also, and they too have been getting excellent scores when competing with other local schools. Enthusiastic cheer teams. 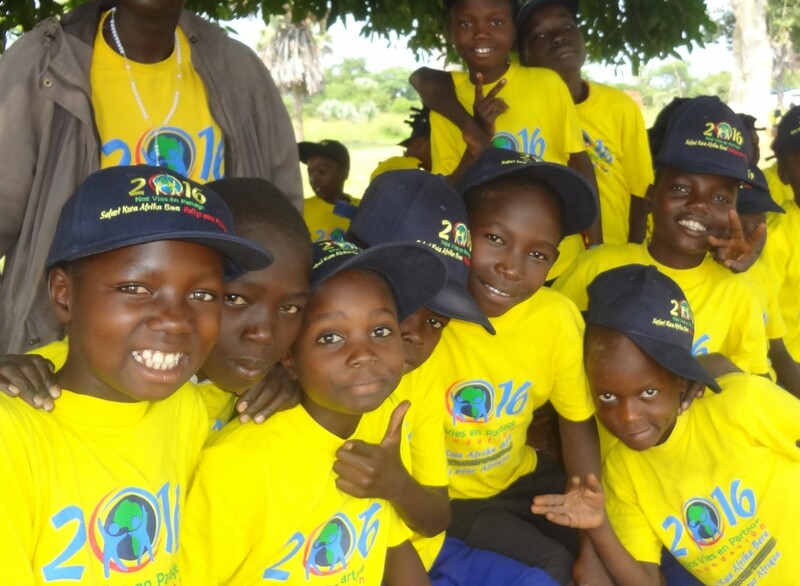 These great T-shirts and hats were donated by the Partage Foundation who also gave funding for finishing our 3rd home for children, solar power for our library and campus lighting which we are currently working on. Photos to come. We are extremely grateful for their generosity!